Hydromonitoring is a method of surface treatment using a specialized device – a monitor. 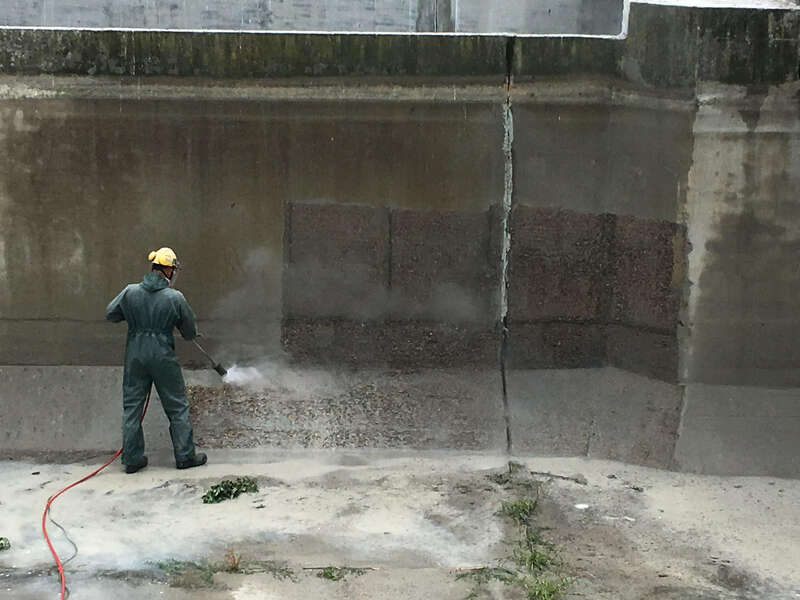 Surface treatment can consist not only in cleaning, but also in removing unwanted layers, crushing coatings and cutting even very hard structures. It is possible because of (commonly known as) “pressure washer”, professionally – a high-pressure aggregate, which in the first phase of the process compresses water, and then releases it at enormous speed. Hydromonitors have a wide range of possibilities and depending on the power, pressure spans and water flow are suitable for various types of work in industry, production or construction. The technique of hydromonitoring, among other things, is used to clean buildings made of concrete, brick or stone, without prejudice to the surface being cleaned. cleaning construction machines, steel surfaces (including scaffolding, formwork, pipes), tanks, etc. Hydromonitoring is an effective alternative to hydropanishing or dry sandblasting. The benefits of hydromonitoring are very wide. This method will effectively clean the object without destroying it. Only water is necessary to carry out the work, abrasive is not required, thus limiting the costs of carrying out the work and the amount of waste inconvenient to utilize. It is also a safe method for health, because the material is not dusted, no chemical fumes or sewage that can be harmful to people or the environment. 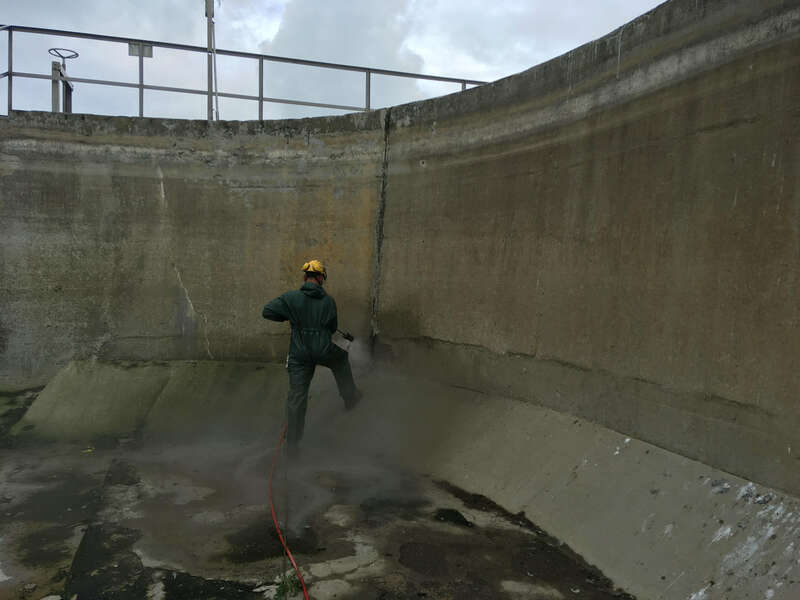 COVER offers a hydromonitoring service (using the latest specialist equipment), hydropanishing and dry sandblasting. Our specialists, after making the diagnosis, will choose the most effective and optimal method. SITE Concrete / reinforced concrete substrates for all types of objects from tanks on sewage treatment plants, through bridges / viaducts to concrete / reinforced concrete walls and excavation casings. 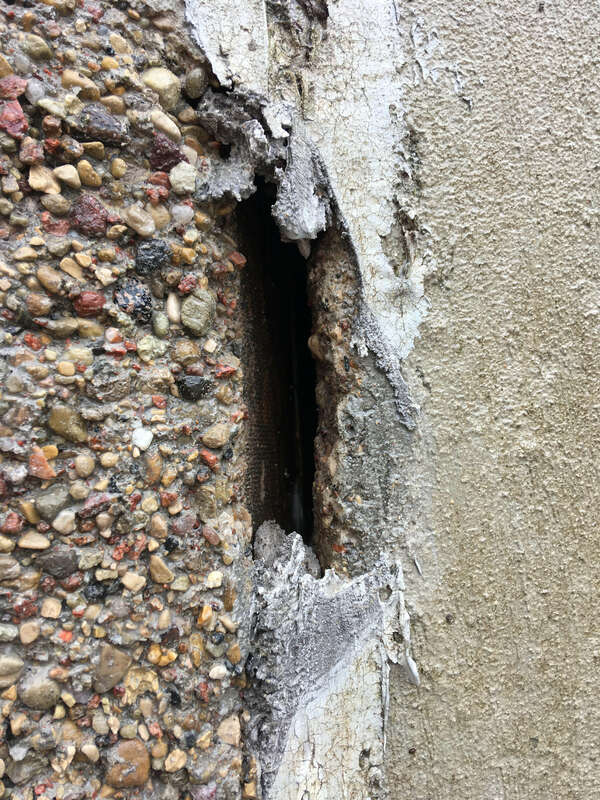 Wherever the concrete surface has insufficient strength and must be pre-treated, it is dirty or old coatings must be removed. ADVANTAGES No need to use sand for substrate preparation. No need to export sand after hydro-sanding or sandblasting. Speed of execution. No pollination. The possibility of using high pressures. All you need is a connection to the hydrant. Equipment adapted to tow behind the car.